This calculator is valid only for four band resistors. For 4 bands resistors calculator click here. For 6 band resistors calculator click here. Simply click on resistor to select/change the values from the drop-down menus for each band. 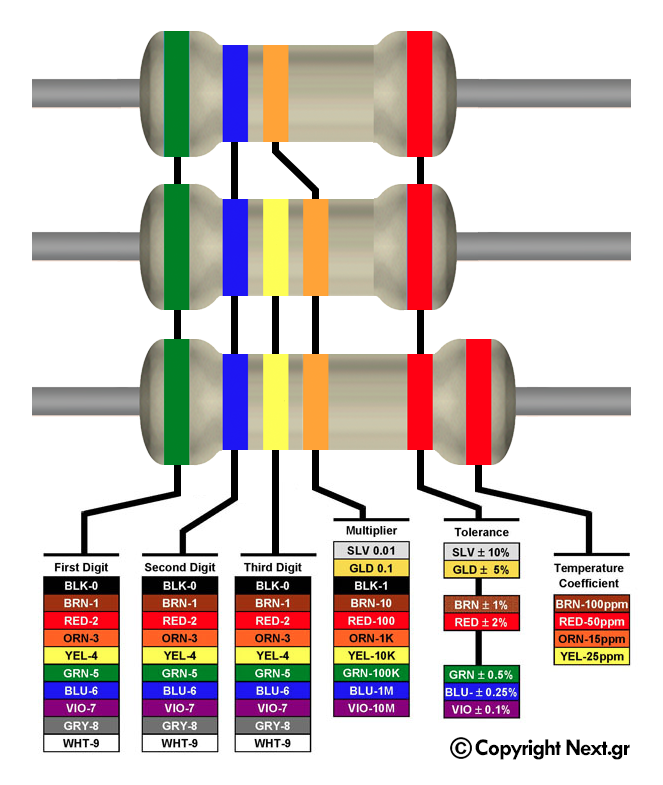 Color-coding equivalents for the four, five and six bands resistors. To distinguish left from right there is a gap between the third and the fourth bands. band B is the second significant figure (some precision resistors have a third significant figure, and thus five bands).